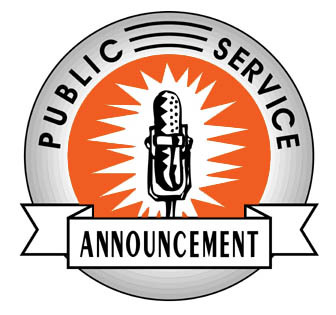 In this PSA assignment students will apply the concepts they have learned in both Social Studies and English in order to plan and design a group public service announcement. In this video students will choose and focus on an issue in immigration and create a video which educates others on their chosen issue and offers suggestions on how people can make a difference. This connects with the essential questions, "who are immigrants, and what struggles do they face in American society?" In Mr. Jensen's class students will choose their issue and do independent online research in order to develop a solution. Students will be required to look at not only primary source documents related to their issue but also art work such as political cartoons to help them better understand their groups issue. In Ms. Bevers' class students will learn about persuasive argument and how script their videos to best influence others to act. Students will share their videos with each other during Mr. Jensen's class and will also publish their videos onto You-Tube. Ms. Bevers will place the students into groups of five, and each student will be assigned a specific role to accomplish for their groups PSA video. The five roles that the students may be assigned to are the Director, Editor, 2 Actors, and a Storyboarder. Director: The director is responsible for organizing the group during their research and filming times. The director will also be responsible filming and providing any props and or materials needed for their groups video. Editor: The editor is responsible for making sure the video quality is acceptable. This includes making sure the sound is not too loud or too soft, incorporating titles music and effects, and making sure the video is the proper time length. Actors (2): Both actors are responsible for discovering two pieces of research(each) that could add to their groups understanding of their issue. The actors are also responsible for acting in the video and must be included in for at least two minutes of the total PSA video. Story-boarder: The story-boarder is responsible for creating the storyboard that we be used to create their groups PSA video. The storyboard must include an hand drawn depiction of each scene from their PSA video, and the actors scripts for each scene.